Lack of Action is THE #1 Killer for Any Home Business... A good friend of mine used to say: "Ain't Nothin' to it, But to do it!" And that's exactly what it's gonna take for you to get the results you are looking for. You're gonna have to "Do It" I get several emails and calls from people who want to know HOW I’m doing with the Motor Club of America. They really want to know if MCA works. And the answer is absolutely and positively YES. It is working for hundreds of people, yet some people can't seem to make ANY sales. So I preface my answer with only if you will take action and promote, promote, promote your MCA business. If you do, you will get sign-ups. As with any business, it’s truly a numbers game. The more TARGETED people you get to your presentation website, the more people will join you in Motor Club of America. Believe me when I tell you that there are millions of people who are LOOKING for a way legitimate and honest way to make some extra money and if you get enough people taking a look at the automated success team site to learn more about MCA then it is really simple to get sign-ups. So why are some people having success and YOU aren’t? It really comes down to YOU. What are YOU doing to get the word out about Motor Club of America. Let’s face it, placing 2 business card flyers on the two cars parked next to you at Wal-Mart is not enough. It’s been said that "Massive Action = Massive Results" and that is so true. There are a ton of ways to promote Motor Club of America but the question is... are you willing to do the work? ******************************************************* Yvonne Anderson helps the average person make money from home. 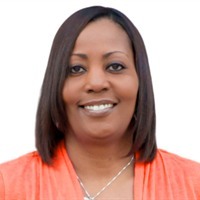 She is the owner of YA YA Services, Inc. and has 12 years of experience in the home based business, network marketing & direct sales industry.